With the search now well underway for agricultural innovators to win a share in the Agri-Innovation Den prize pot of £250,000, Marie-Claire Kidd looks at new development trends within the industry and asks why and how you can innovate. 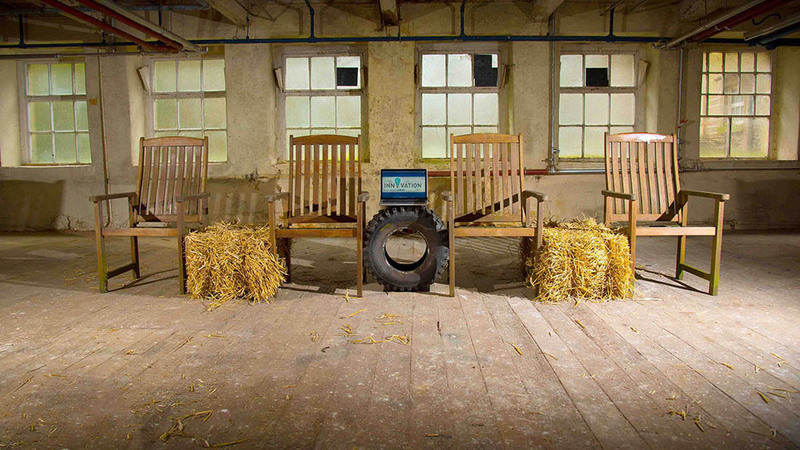 Who impressed our farm business dragons in first ever Agri-Innovation Den? Successful innovation leads to safer, more efficient farms. It can improve animal welfare, increase environmental sustainability and make businesses more profitable and resilient. The best innovations tick more than one box. They reduce inputs, increase output, maximise quality, regenerate land and reduce pollution. They solve problems and reduce stress. Good innovators are not afraid to experiment. They respond to challenges and pursue new ideas, inspiring others with their energy, because it is not always easy being ahead of the curve. And they almost always work with others to fulfil their vision. But how do you become a great innovator? Camilla Hayselden-Ashby of Farm491, the Royal Agricultural University’s agri-tech incubation centre, says: “Looking at the entrepreneurs we are working with, many business ideas have sprung from noticing a product which was missing from the market or spotting a new application for a technology. Social media can engage employees and harness their ideas, according to the Chartered Institute of Personnel and Development (CIPD). The institute’s research shows 16 per cent of employees think their organisations make good use of social media, and just 26 per cent work in organisations which have developed an internal social media platform. While some employers choose a ready-made social media platform, such as Yammer, which is now used by more than 200,000 companies worldwide, others develop a bespoke platform. Mr Gifford says whichever route they choose, the key is to adopt technology early. In one organisation, employees set up their own Yammer account. The organisation followed suit, launching an internal platform, but it was too late and employees did not use it. The advance of social media is shifting patterns of communication from being one-way or two-way to being multi-directional, enabling employees to engage in an open forum. Some of the entrepreneurs Farm491 works with have ideas when spotting applications for technology. Another area of rapid development is Agri-tech, the raft of innovative products and services taking technologies normally associated with Silicon Valley and applying them to agriculture. It offers opportunities to boost output and reduce risk in farming, improving existing systems and creating opportunities for new methods of food production to emerge. This rapidly expanding sector is attracting billions of dollars of investment from major venture capital firms and tech companies, such as Google. But as Prof Simon Blackmore, head of engineering at Harper Adams University, explains, without a start-up company to push a new product into the commercial world, even the best ideas can flounder. 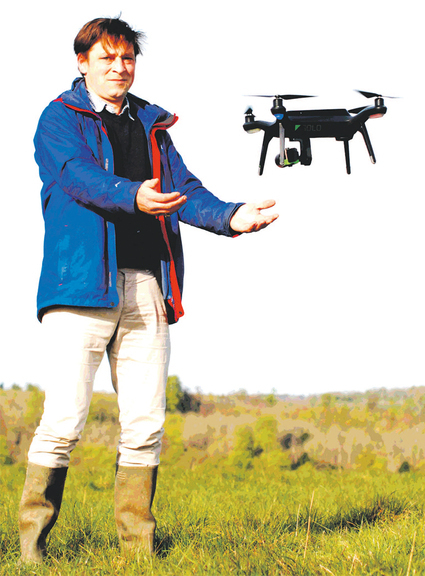 Prof Blackmore and his students are developing a range of small, unmanned machines, aimed at making precision farming an everyday reality, particularly for small- and medium-sized farms. Good innovators are not afraid to experiment as they respond to challenges and pursue new ideas. Machines are both airborne and ground-based and cost between £10,000 and £20,000 – a fraction of the cost of a large tractor. Most of this value is in a sensing system, which is the smart element of the machine. He says: “We are all well aware big farms and big fields have big tractors and they get economies of scale, but small- and medium-sized farms cannot do so. But there are other ways of achieving efficiencies. Prof Blackmore says these machines can reduce herbicide usage by 99 per cent. And yet, because they are a ‘disruptive technology’, most farmers, tractor manufacturers and agronomists have yet to see their value as an innovation. This, Prof Blackmore says, is an opportunity to innovate. Miss Hayselden-Ashby says: “Precision farming offers an opportunity for farmers to refine their processes and help ensure they spend their money on inputs which make a difference. “However, for the full benefit to be realised, it is essential the wealth of data it produces is analysed and used to affect change either by the farmer or a professional adviser. “Agri-tech companies are now taking inspiration from UX and data visualisation companies to make products more user-friendly. To make the most of the rapidly changing business and technological landscape, farmers need to look hard at what they do, identify what is holding them back and search to find a creative solution. 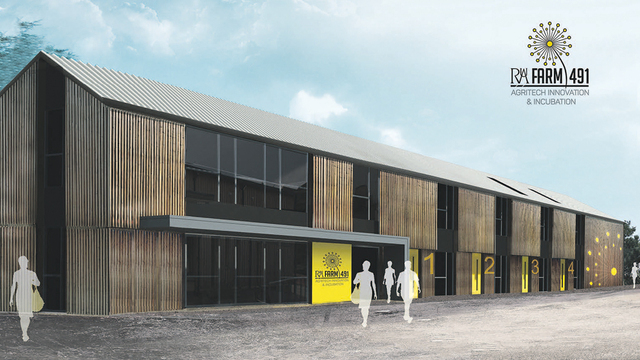 Agri-Innovation Den: What’s it all about? IF you have an innovation and need help bringing it to the market, Farmers Guardian parent company Briefing Media has £250,000 on offer. Agri-Innovation Den was launched last year in conjunction with The Co-operative Food, to give entrepreneurs with an interest in farming an opportunity to develop their ideas and innovations. So whether you are an entrepreneur, farmer or a student with a great product or concept which you believe could help farmers, we want to hear from you.